According to the National Highway Traffic Safety Administration, Chrysler is issuing a recall of 30,197 pickup trucks in the United States, all from the 2013 model year. The affected vehicles are the Ram 1500, 2500 and 3500, all of which were built between September 9, 2012 and March 5, 2013. The problem affects models equipped with “optional premium taillamps,” and according to NHTSA, the turn signal indicator “may not flash at a double rate to give a notification to the driver of a turn signal malfunction.” The report states that if a driver is unaware of a problem with the turn signals and continues to use them as normal, other vehicles on the road may not be alerted that the vehicle is turning, which increases the risk of a crash. Other recall woes have affected the Ram line recently. 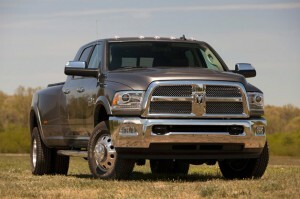 In April, we reported that Ram 1500 models were being recalled due to an improper adjustment of the parking brake cable, and several thousand Heavy Duty models were being called in for engine covers that do not have as much heat resistance as they’re supposed to. For this latest recall, the NHTSA report states that dealers will reprogram the trucks’ central body controller software free of charge. The official campaign is expected to begin sometime next month. Scroll down for the full NHTSA bulletin. Chrysler will notify owners, and dealers will reprogram the Central Body Controller software, free of charge. The recall is expected to begin in July 2013. Owners may contact Chrysler at 1-800-247-9753. Chrysler’s recall campaign number is N35.